To students, graduated and all the fans of DIY. ToGeTher[e] continues its search for active and willing people to be part of its workshops! 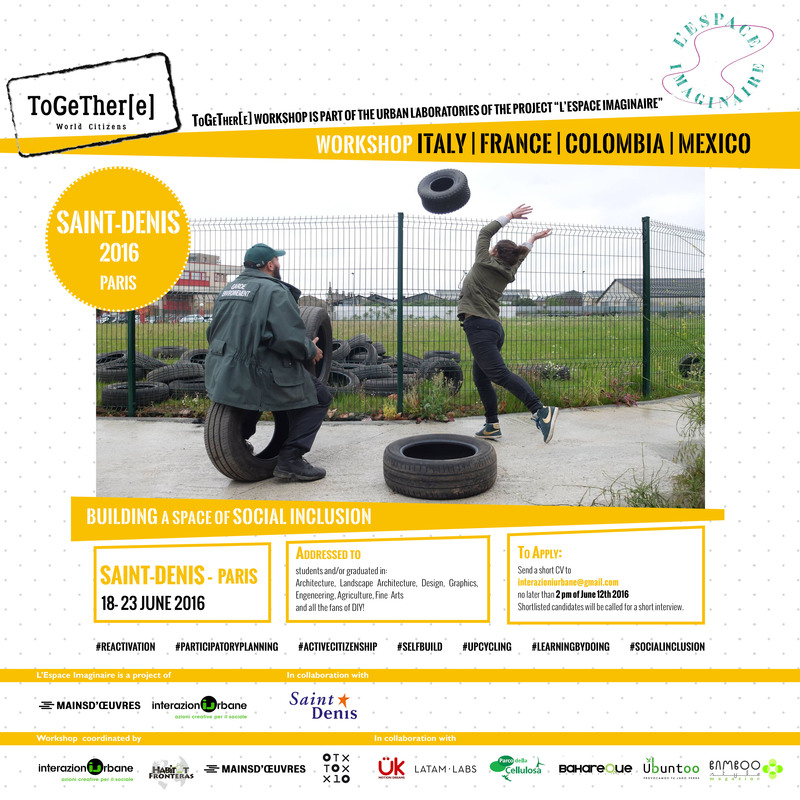 This is the turn of Saint-Denis – Paris for L’Espace Imaginaire! Send a short CV to interazioniurbane@gmail.com no later than 2 pm of June 12th 2016!